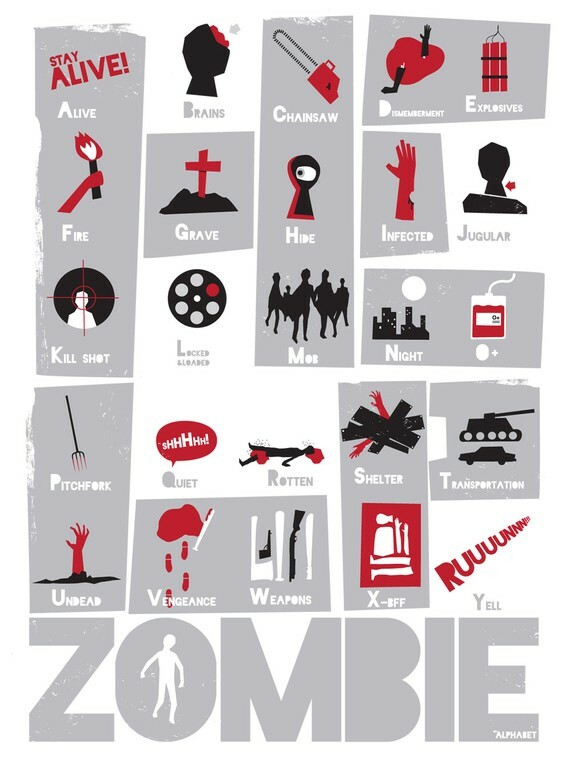 It's a zombie alphabet poster. Learn the alphabet while learning about these lifeless, brain eating, killing machines. It's on SALE now until monday- $5 off. Order by Monday December 20th to receive before Christmas. 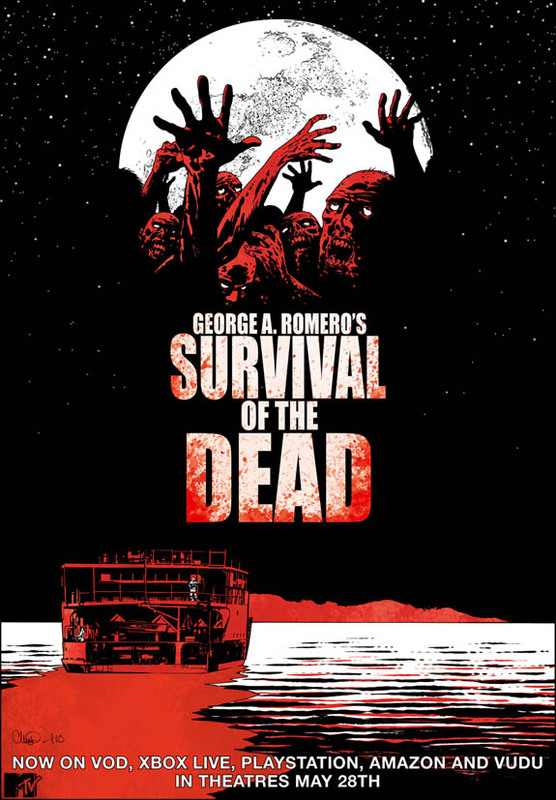 Click “Start the Experience” to begin a choose-your-own adventure interactive movie based on George A. Romero’s seminal zombie flick Night of the Living Dead. via The Daily What Cartesian Graph of the Day: “How Dangerous Is A…. 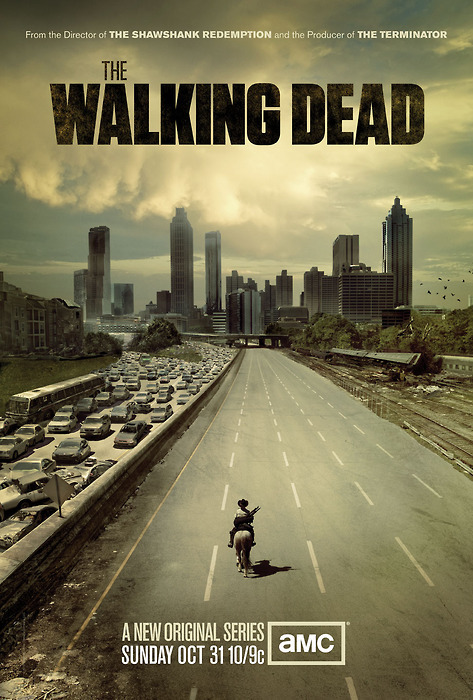 The final poster for AMC’s live-action adaptation of Robert Kirkman’s zombie comic book series The Walking Dead. 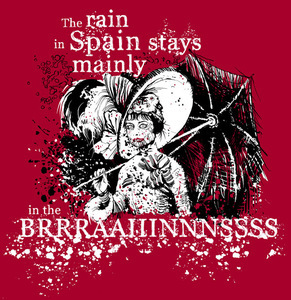 The rain in Spain stays mainly in the brains! Split Lip — My Fair Zombie T-Shirt. Posted in found on the web	| Tagged comic, found on the web, zombies	| Comments Off on The rain in Spain stays mainly in the brains! 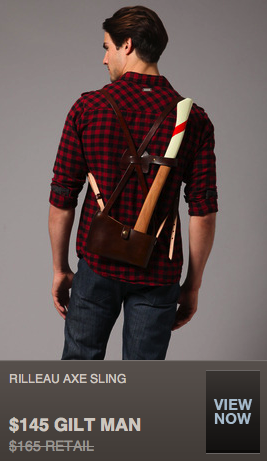 Put This On • because every stylish guy needs an…. Immediately following the events of Diary of the Dead, SURVIVAL OF THE DEAD is the 6th film from George A. Romero to look at a world where humans are in the minority and the zombies rule. Off the coast of Delaware sits the cozy Plum Island where two families are locked in a struggle for power, as it has been for generations. The O’Flynn’s, headed by patriarch Patrick O’Flynn (Kenneth Welsh) approach the zombie plague with a shoot-to-kill attitude. The Muldoons, headed by Shamus Muldoon (Richard Fitzpatrick), feel that the zombies should be quarantined and kept ‘alive,’ in hopes that a solution will someday be found. The O’Flynn’s, who are clearly outnumbered, are forced to exile Patrick by boat to the mainland, where he meets up with a band of soldiers, headed by Guardsman Sarge (Alan Van Sprang). They join forces and return to the island, to find that the zombie plague has fully gripped the divided community. As the battle between humans and zombies escalates, the master filmmaker continues to reinvent the modern horror genre with wicked humor and pointed social commentary. 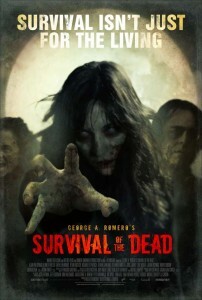 SURVIVAL OF THE DEAD premieres on VOD, Amazon, Xbox Zune and Playstation April 30 and will be in theaters on May 28th. 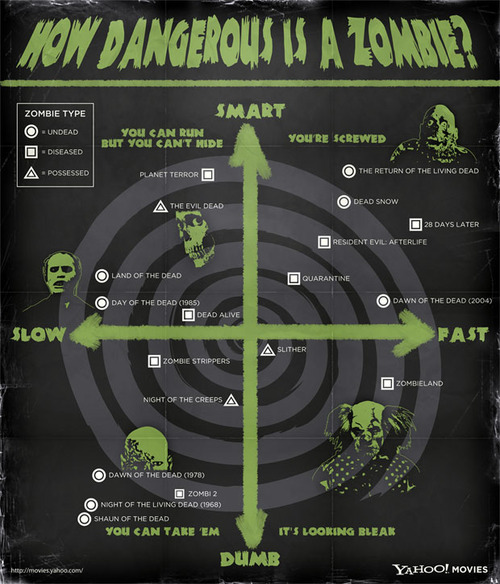 Californiawatch.org via Mapping zombie hotspots. 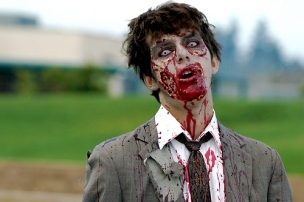 Philip Munz, a graduate student at Carleton University in Ottawa, was watching a lot of movies about the undead and realized that zombification could be regarded as a classic paradigm of infectious spread: people get bitten by zombies, after which they turn into zombies themselves and start biting others. 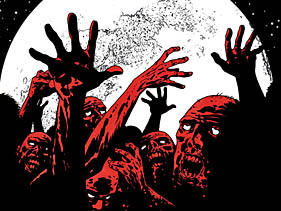 So Munz decided to use the tools of epidemiology to answer a sobering public-health question: could humanity survive a zombie outbreak? The Ninth Annual Year in Ideas – Magazine – NYTimes.com: Zombie-Attack Science.